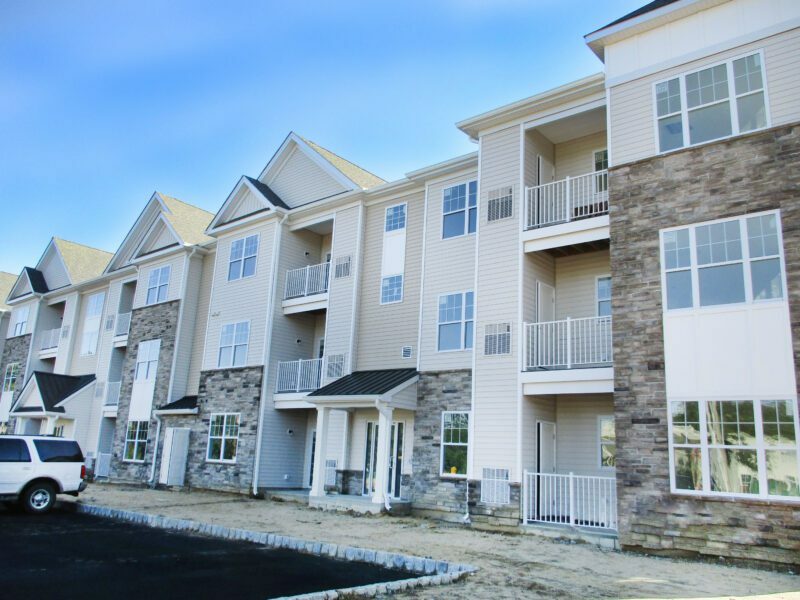 Lakewood, New Jersey (2/20/19) – TFE Properties is pleased to announce the grand opening of Hampshire Crossing, a brand new apartment community in the heart of Lakewood. Phase 1 of construction is now complete, and the first move-ins are scheduled for this month. The features of Hampshire Crossing most lauded by future tenants include the spacious layouts, the modern fixtures and finishes, the convenient key fob entry system, and the overall curb appeal. Future tenants say they love that everything is brand new and can’t wait for move-in day. Hampshire Crossing apartments are comprised of six different layouts with one-bedroom and two-bedroom options. Nestled in a wooded area near the Garden State Parkway and conveniently adjacent to E-Z Self Storage Lakewood, the apartments greet residents with warm, neutral color tones, open floor plans, and all the comforts of high-end amenities. Each unit includes a generous master bedroom with a walk-in closet, a balcony with sliding glass doors, a full-sized washer and dryer, and a spacious kitchen with rich espresso cabinets, quartz countertops, and stainless steel appliances, among other top attributes. The community is pet-friendly and also features a fully equipped fitness center. Hampshire Crossing is centrally located between downtown Lakewood, Brick, and Toms River. Residents will have easy access to nearby shopping and entertainment including Ocean County Mall, Ocean County Park, Woodlake Country Club, and Point Pleasant Beach and Boardwalk. Hampshire Crossing is located at 929 New Hampshire Avenue, Lakewood, NJ. Prospective tenants are invited to call (732) 664-0242 or email info@hampshirecrossing.com for more information. About TFE Properties: TFE Properties is a real estate and land development company based in East Windsor, NJ. They develop strategically located commercial and residential properties from the ground up, in addition to purchasing existing properties where they see opportunities to create value. Their primary areas of focus include retail centers, single net tenants, hotels, office buildings, apartment complexes, storage facilities, and land development. For more information, visit www.tfeproperties.com.